We love Mother's Day at Look@MyBaby. Not only are we mums, but we speak to new mums everyday. There is nothing in the world that compares to being a mum. This year we have a very special Mother's Day offer. When you make a Look@MyBaby booking anytime between now and Mother's Day, we will upgrade you to our premium pack, a free video keepsake worth $100. This offer is only available on our Facebook Page. If you, or someone you know is pregnant, this would be the perfect Mother's Day gift. Give a gift that helps a new mum share her baby with friends and family all over the world, and a recording she can cherish forever. Messages from some new mums. We were fortunate enough to have Look at My Baby after the birth of our gorgeous daughter Dylan Marie. Being from an incredibly supportive and loving family, we found the concept of them being able to log in and see Dylan in her crib live, a wonderful experience. We had interstate and overseas family who were able to log in and watch Dylan sleep or interact in the first hours of her being here. They were able to leave messages on the online guest book for Dylan and we will cherish those forever. We used Look@MyBaby when we recently had our daughter at the Mater in Townsville. Having just moved to Townsville from our home town, it was a great way to let family and friends "visit" bub in hospital since they couldn't come up. It was also great for Dad and the other kids at home to see the new addition whenever they wanted. All it took to set up was a phone call and we were live. Thanks for the fast and efficient service.....we all loved it. Just wanted to say what a fantastic service you have we thoroughly enjoyed the experience!!! Having a lot of family overseas has meant that everyone has been able to share a cuddle with our beautiful baby daughter even if they couldn't be here in the flesh!! 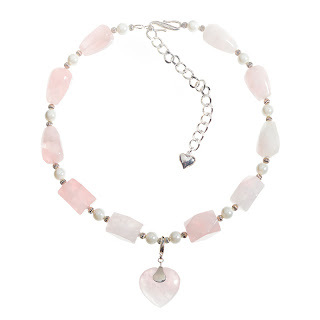 To celebrate Mother's Day, the first mum to activate her Look@MyBaby service on Sunday 12th May 2013, will receive a rose quartz pendant from Rose Quartz Company, rose quartz is a semi-precious gemstone and the universal stone of love. From everyone at Look@MyBaby, we would like to wish you all a Happy Mother's Day.